The good news is that today if the skills are used for ill, then most times that ill will be exposed and the person will pay the price. However that isn't always the case (I almost feel like I should be quoting Uncle Ben from Spiderman). 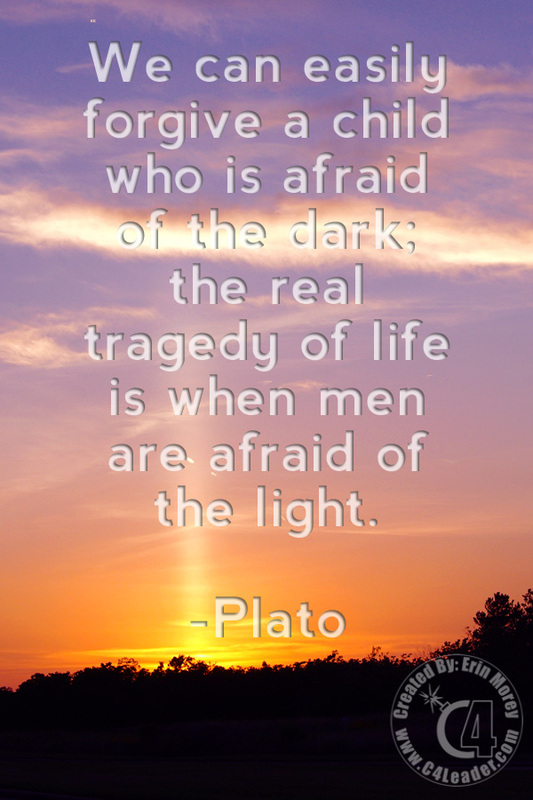 So, if you want to be a strong, moral leader don't fear the light. Welcome it and work with your team to grow more moral leaders. 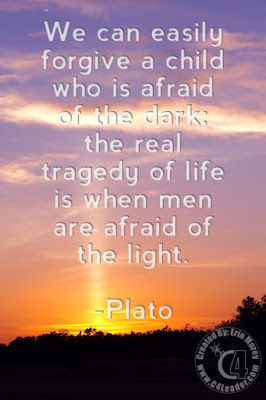 For my readers who don't know Plato was a great Greek Philosopher and founder of the first institution of higher learning in the Western World. He was taught by Socrates and was the teacher of Aristotle. The fact that his body of work survived intact for 2400 years is remarkable. Definitely worth the time to study.